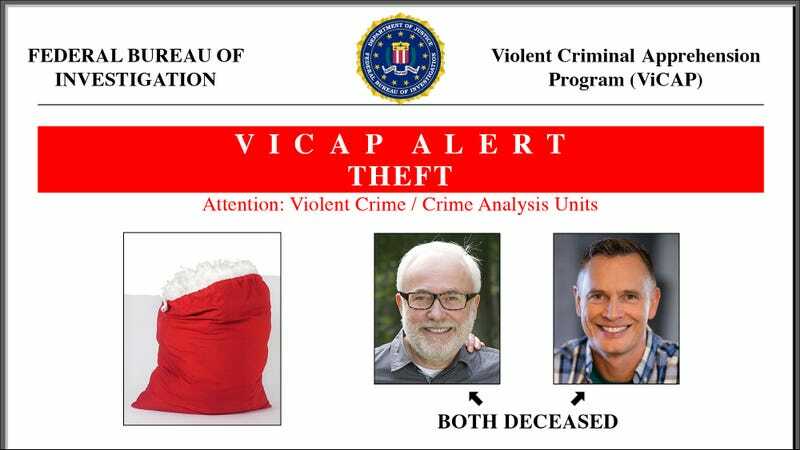 You might want to exercise a little extra caution as you go about your day today, because the FBI has issued a nationwide crime alert informing all Americans that a man once stole a big bag of feathers from his neighbor’s car in 1995 and that both the man and his neighbor died several years ago. Text your loved ones, because you’ll want to make sure they’re safe. The FBI added that it had dispatched an undercover agent 15 years ago to investigate this incident, but had sent him to the wrong state and also that he retired a while ago. All Americans are urged to take the necessary precautions. In light of this announcement, a state of emergency has been declared in the town of Raleigh, North Carolina, which is 600 miles away from where the crime took place, and is a city that neither the feather thief nor his neighbor have ever been. Residents of Raleigh are urged to stay indoors until the FBI has arrested either the man who stole the feathers or the man he stole the feathers from, both of whom are deceased and buried in cemeteries on opposite sides of the country. While it’s unclear how long this crime alert will last, the FBI has announced that the stolen bag of feathers was a mix of goose feathers and pigeon feathers and that the bag was either black, brown, purple, or colorless and then reconfirmed that both people involved in the incident from 23 years ago are both deceased. Agents say that anyone who sees the bag of feathers should either run away from it screaming, tell the FBI about it, or steal it for themselves and keep it in their house to look at if they like feathers. They also added that the bag was burned in a furnace six years ago. Hopefully the FBI can wrap up its investigation soon and we as a nation can put this whole ugly situation behind us!